Google held their annual hardware launch event in San Francisco today. The launch event was much more than a Pixel smartphone update. It was an unveiling of a suite of devices showcasing Android’s vision incorporating artificial intelligence and machine learning into all of their hardware. There remains a tricky dance the company must perform by announcing hardware which will compete directly with its key customers. Maybe this is why the company focused on the AI enhancements and spent the least amount of time on the hardware spec details. Clearly, their goal is on creating new, innovative products which will meld AI, SW, and HW—a mantra repeated through the event. The focus on AI made the event less of a battle against Apple, Samsung, and Huawei, but rather a battle against Apple iOS, Amazon, and competitors in the connected home space. This was evident even in their depiction of their Pixel 2 camera enhancements—less on sensors and aperture and more on machine learning to enhance image stabilization. Starting with the smartphones, two Pixel phones were announced pretty much as the rumor sites had predicted. One is a 5” OLED HTC-built device offered in three colors. The XL version is a 6” OLED LG-built device offered in two colors with basically the same key specs throughout—a differentiation from Apple that Google was quick to point out. Display sizes 5” and 6”, both OLEDs like last year but a 6” display on the XL which is up from 5.5” last year in a similar footprint. Always on display is a tricky enhancement to OLEDs more easily executed on LCDs. Active Edge: OEMs have had the technology for many years, but it has yet to be effective. This go-around triggers the Google Assistant by a squeeze. Snapdragon 835: An upgrade from last year’s Snapdragon 821 and on par with current flagships. Camera: Bucking the trend, GOOG opts for a single rear camera design with a new, 12Mpix which sports an f/1.8 aperture with optical image stabilization (enhanced with software alogrithms). Camera takes a burst of shots each photo for optimizing color, contrast. Portrait mode software was added. DXOMark rates the Pixel 2 as the top-performing mobile device camera. Display: 18:9 aspect ratio, 538ppi, circular polarizer (ease-of-use with sunglasses). IP67: An upgrade but now table stakes for premium devices. Pixels will get the first use of ‘Google Lens’, an image recognition app. For instance, Google Lens can put up details of a restaurant by simply viewing the building through the phone’s camera. Colors: kinda blue, clearly black, just white. In addition, there is color on the pop-up button which gives the device a bit of pizazz. Fast charging: 7 hours of use in 15 minutes of charging is the main brag. Front-facing stereo speakers: AI and voice recognition in mind, the company beefed up stereo speakers. USB-C without a 3.5 headset jack. Makes for a better need to buy Google Buds. Android Oreo with a few features unique to Google. One being an app from ARCore, Google’s answer to Apple ARKit. Demo’d was ‘AR Stickers’, which projects digital stickers (think characters). The company has deals with Saturday Night Live, the NBA, Disney, and Netflix. Cost and availability: $849 for the Pixel 2 XL. $649 for the Pixel 2. The device, once again, is a Verizon exclusive but will be sold unlocked within other US carriers. Globally, there will be a 6-country launch, adding a couple more countries later. Takeaway: Google HW head, Rick Osterloh, emphasized that Google is in ‘the early days for their hardware business’. The focus is on the user experience and enhancing the Android ecosystem. We take these comments as truth as the company could have gained easy volumes by adding more carriers and countries. A slight sigh from Android handset OEMs. The company will spend marketing dollars but will focus on product enhancements. With this being the case, and a healthy $649 and $849 price tag, the Pixel 2 volumes will be moderate. Expect to easily eclipse Pixel volumes, but this is more due to version one’s terrible supply issues. The camera and AR offerings may be best-in-class. However, one of the major complaints about the original Pixel was the boring aesthetics. 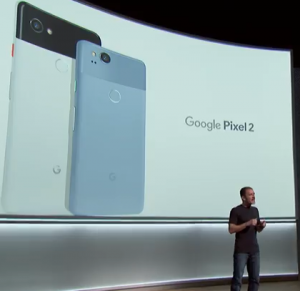 Nothing was really done on this front as the Pixel 2 looks the same as the Pixel with hybrid aluminum and soft-touch plastic casing. As much as Google wants to promote the technologies which will grow the Android ecosystem and help its OEM partners, Pixel 2 volumes will mainly come at the cost of its Android partners, not Apple. 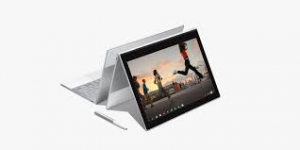 Pixelbook is Google’s first 2-in-1 hybrid, high performance Chromebook that can be used a laptop or can be folded and used like a tablet. Glass inlay on the lid give it a polished look and helps with better wireless performance. The keyboard is thin, soft to the touch, and is backlit. Pixelbook is the first laptop to come with an in-built Google Assistant. Takeaway: Impressive hardware which is quite versatile. The 360 hinge is nicely done and will be great for tight places such as an airplane. $1,000 price tag will not irk its hardware partners. Not the sweet spot price point for laptops, similar to the Pixel smartphone line, this is built for driving user experiences and not volumes. Confirmed by the limited number of countries where it will be available. Takeaway: Google is focusing on gaining share in both smart speakers and connected home applications. The lower cost Mini will help gain some share vs. Amazon, but too early to tell how they will stack up toe to toe. Some of their intelligent Wi-Fi work and smart speaker tech will help. Unlike the smartphone & laptop space where Google is pushing the limits on the upper end, the smart speaker and home is more about volumes and installed bases. This means more price points and working with partners to integrate much like the company has done with Nest. Priced slightly higher, Google touts their main differentiation as its superior AI. Examples the company gives to demonstrate its lead include ability to recognize voices. While making phone calls, the smart speaker will call with the user’s telephone number. 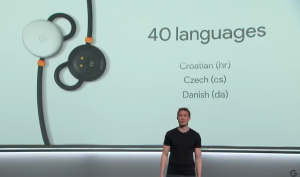 In addition, Mini or Max will recognize who is asking to play music and the hardware will play their favorite music playlists. Apart from the new look and colors, the headset does sport new and improved lenses. The lenses have a wider FOV for a better improved immersive experience. Google also announced the addition of more than 250 high quality VR titles, IMAX movies accessible via Google Play movies and premium content exclusive to Daydream. Priced at $99, the device supports a limited number of smartphones including the Samsung S8 / S8+, Moto Z /Z2 and the ZTE Axon 7. Takeaway: The improvements are there but one must dig for them. 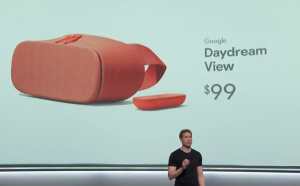 Google did not spend a lot of time on the VR headset during the launch event as it appears the company is acknowledging content and applications are not yet ready for prime time. Google’s answer to AirPods are the new Pixel Buds. The buds automatically pair with the Pixel and the controls are built into the right bud. The most attractive feature is how its pairs with Google Assistant. A mere touch and hold gives access to the Google Assistant. The killer differentiating feature is real-time language translation. If it works as advertised on stage, this is an incredible feature. Takeaway: Price and functionality is pretty much identical to Apple’s AirPods. The two buds are connected via a wire, which may have some up in arms. Some may argue (this writer) that the wired connection actually looks less goofy than AirPods. 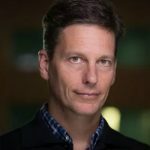 As with the other hardware announcements, AI and its evolution will be the key differentiators. 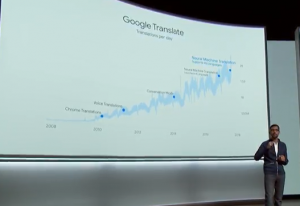 If live translations work as advertised, this could an incredible marketing tool for Google. 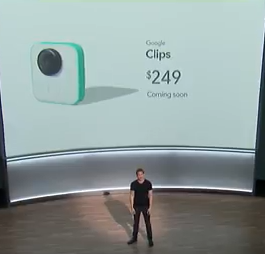 Google Clips is a camera that packs a powerful image sensor and shutter button, and a high-performance lens that is powered by AI engine. The camera basically uses machine learning and facial recognition to recognize faces and take pictures when the device believes there is something interesting to be captured. Once paired to a phone and switched on machine learning happens independently inside the device. For those wary, the company emphasized the program just learns to recognize faces but does not attach data like the person’s name, for instance. Also, the photos taken are stored within the device and need to be manually synced to the phone by the user. The clips captured can be imported as an image, moving image, or a video. Initially, Wall Street thought this was a shot at GoPro. In reality, the devices are quite different. GoPro continues to be better for capturing action or sports due to its ruggedness and being waterproof. Google Clips, as stated, is more about capturing life’s moments. Think child-parent story telling time. Takeaway: A camera or today’s smartphones can capture better quality images than what Google Clips can do, but what sets this device apart is the AI which replaces the user and takes the pictures for them. This definitely is a niche product at $249 and will turn away many simply due to the ‘creep’ factor similar to early Google Glass. The product is cleverly targeted towards parents and pet owners. Putting a powerful software behind a camera that could help users enjoy “gadget-free” moments will be beneficial for some parents or dog lovers. If Google’s goal is to drive artificial intelligence and machine learning into hardware products, it does make sense to have internal teams building hardware. In this sense, the company is doing quite well in the early stages of churning out hardware. Google realizes that it must take into its own hands defending the Android ecosystem. To truly bring AI, SW and HW together and disrupt, it must be done during hardware concepting. In addition, rolling out hardware gives Google a hedge against fragmentation, rogue Android OEMs, and gives them the ability to take better take on key competitors such as Apple and Amazon.